Epiphany! Don't you just love them? Don’t you just love those moments when you've been banging your head on a brick wall then from out of no-where comes a eureka moment and boom… epiphany! 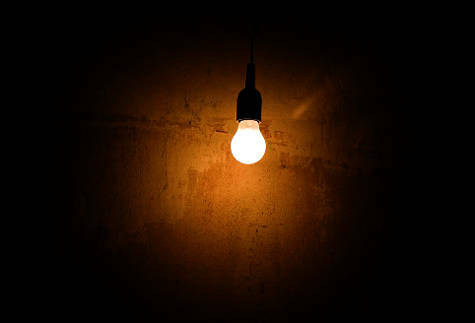 My job is to create epiphany’s and there is nothing I like better than that light bulb moment when someone suddenly can see what has been holding them back, often hiding in plain sight. Yet an epiphany seems elusive when you are desperate for some clarity on any given situation. Often it is one epiphany, which is the answer to multiple symptoms showing up in your life as problems. For example if you don’t value yourself you attract people who take advantage of you in your friendships and relationships, you might also find you don’t get paid your worth or don’t get promoted. A switch in realisation can change all of those symptoms by the epiphany being the recognition of the real underlying problem. Often when people come to see me, it’s like going to a Doctor of psychology. They give me a list of symptoms and intuitively as they talk, I am listening to the voice of the problem, not the symptoms being discussed. Many people go to see a therapist for the solutions to the symptoms, but can spend years talking about the varying problems without getting to the root cause. The root cause of most of the problems in our lives, even the external world ones such as a lack of money, come from a psychological belief or thought pattern. You literally create your life and everything in it from your thoughts. So why are epiphanies’ so hard to find? Often because the problem protects itself from discloser by being in the shadow part of your psyche. Once the block is revealed it can no longer hold you back, as a block is simply a holding point whilst you wait for more information. The epiphany is the information for you to be able to move in flow with authenticity. Sometimes the realisation is painful and it takes time for us to want to own up to it, but once we do, we cannot continue with the same pattern that was attracting the multiple issues. Life opens up and we a sense of freedom and liberation which becomes the wind in our sails towards emotional freedom. Newer PostHow divine is being a diva?